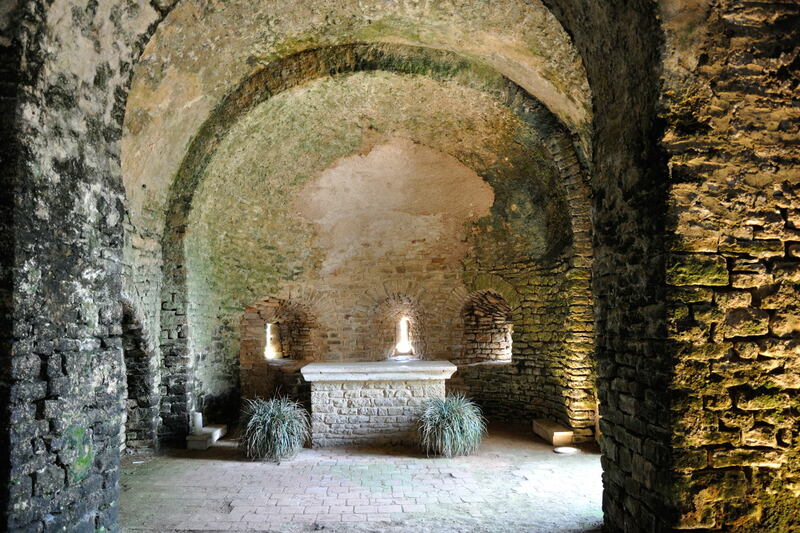 In this part of Burgundy there are quite a few chapels situated inside a castle or on the castle grounds. An earlier blog was dedicated to Sercy, and although Sercy has an interesting castle, it is no match for that of Berzé-le-Châtel, high towering over the surrounding landscape. 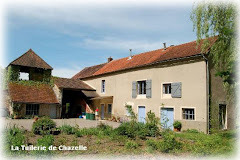 We had seen the château a long time ago, but neither of us remembered having seen the chapel that was mentioned on Le site sur l'Art Roman en Bourgogne. Reason enough to go back one day. 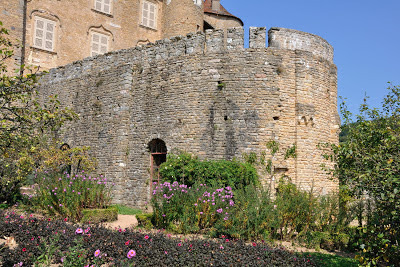 Again this château is private property, and there are only a restricted number of spaces to be visited. Despite this the castle is worth the visit, if only for the explanations of how such a castle was operated, for the splendid views and for the beautiful gardens. This time (we had asked this implicitly) the chapel was open. It was originally a chapel with two storeys, but of the stair leading to the top floor only the bottom steps were still intact. And from what I could gather, the top part had been partially destroyed and filled with earth. Unless of course the top storey, under the merlons simply had been a very low room. Originally the lower chapel had no windows. For those visiting this area, this castle is certainly a must, and besides, the Chapelle des Moines in Berzé-la-Ville with its beautiful frescos is nearby as well. Unfortunately, inside that chapel photographing is not allowed. To get an impession of both Berzés, click here, here and here. 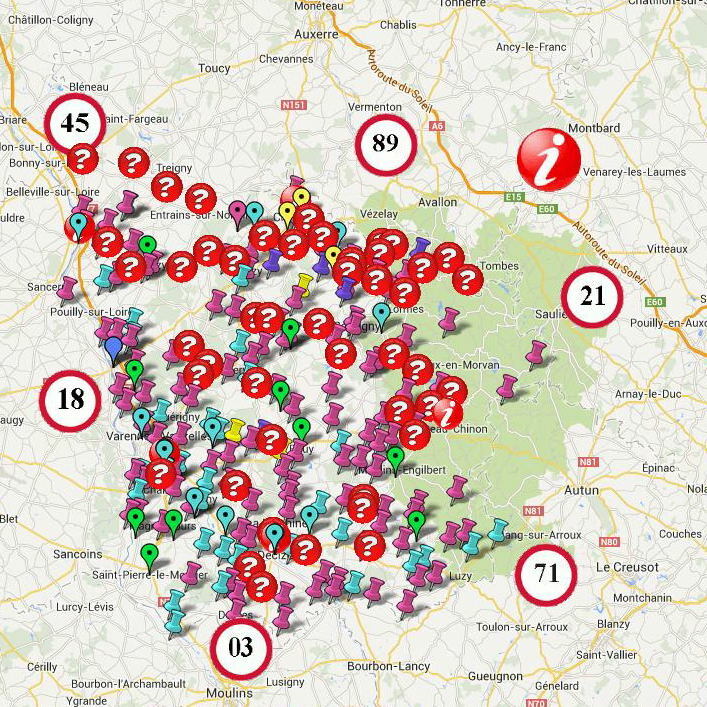 As I did describe in a previous blog, I have been busy for quite a while composing an interactive map of department 71 (Saône-et-Loire), containing all romanesque buildings in this area. 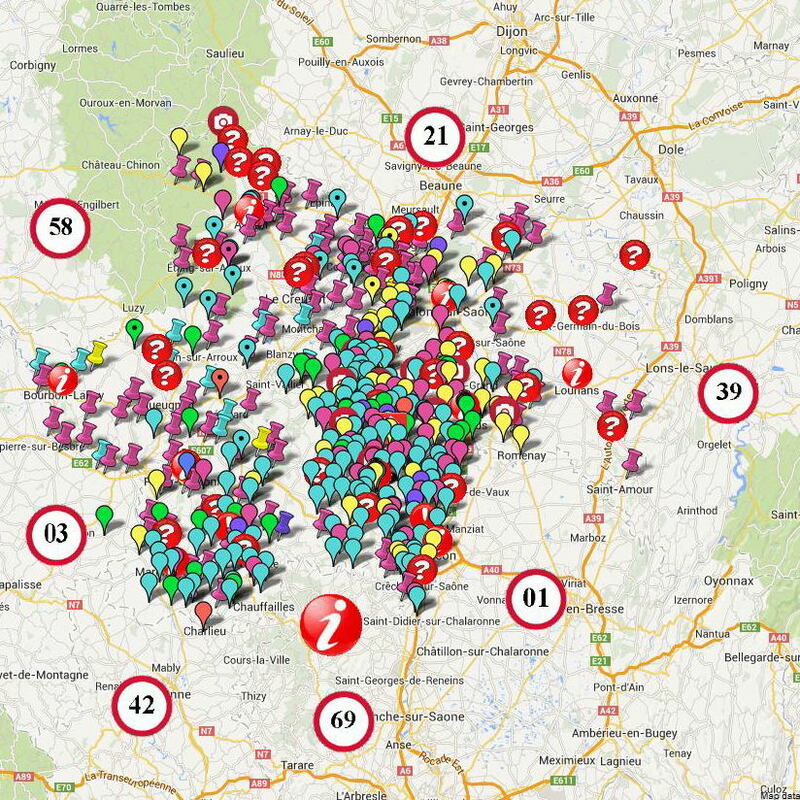 In the mean time however I have extended my action radius to the other departments of Burgundy as well, and although not 100% ready, I now have maps available for the whole of Burgundy. It seemed logical to stick to the set-up of Eduard van Boxtel's website, and that is exactly what I did. And, as usual with these sort of chores, the final product differs quite a bit from the first set-up. 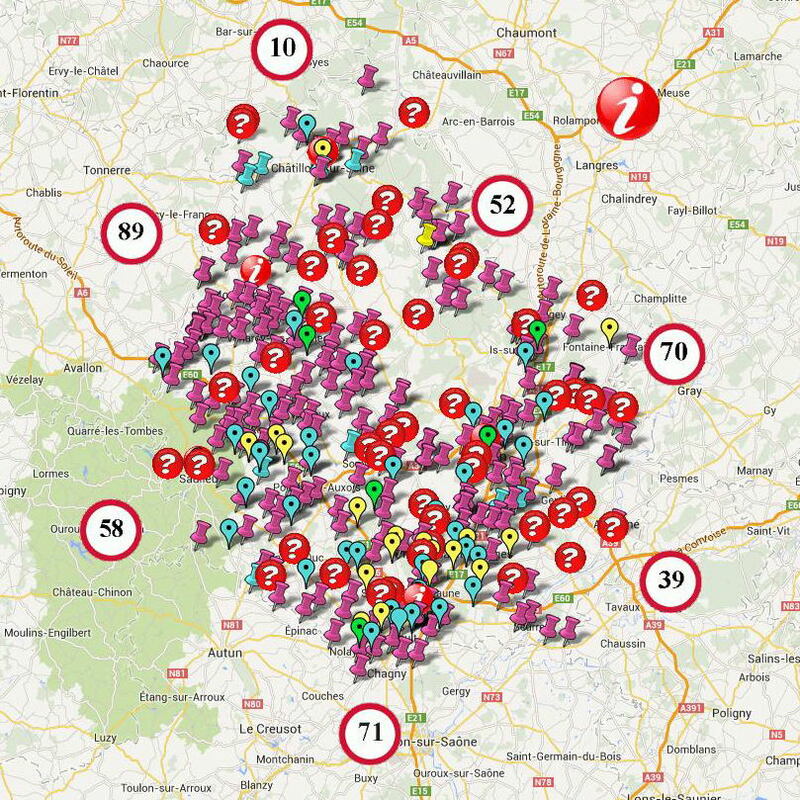 Côte d'Or (21), Nièvre (58) and Yonne (89) are now also completely ready.